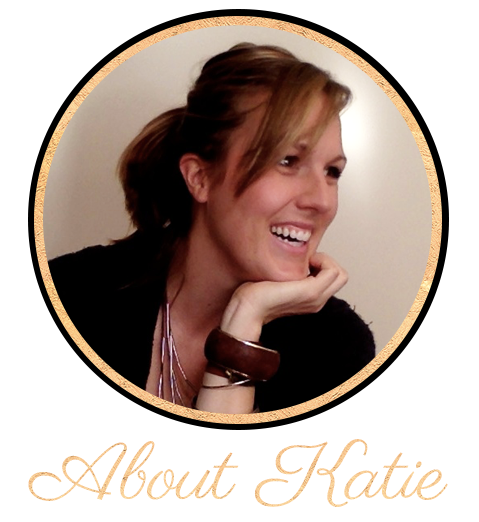 Katie Leipprandt: Why Did the Chicken Cross the Road? Because her owner was lazy and left the coop door open all the time. 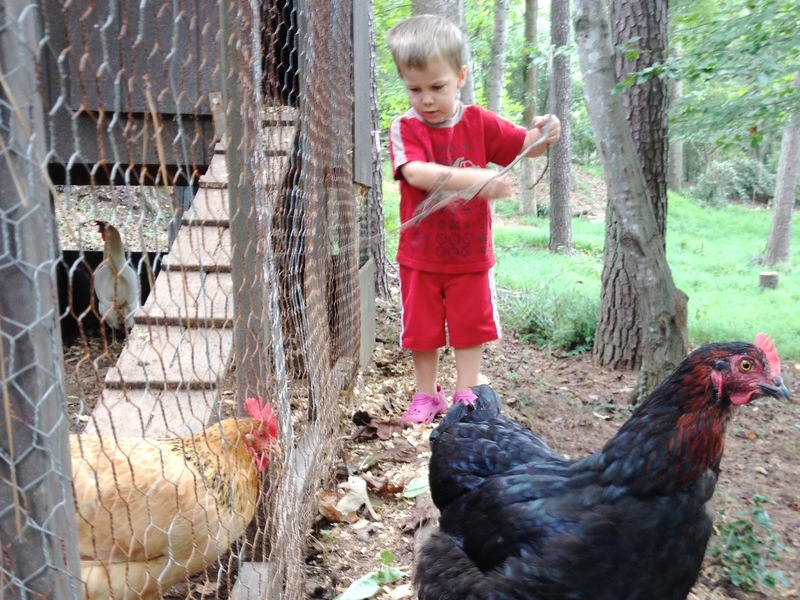 Today our chickens are being formally evicted from our backyard coop and heading off to greener pastures. Back in 2010 when I first dared to dream of chickens we knew there was a distinct possibility this day would come. We live on a hair less than 1/3 of an acre, which is the minimum lot size required to keep chickens in the city we live in. We figured we'd keep a low profile and beg forgiveness rather than ask permission of the neighbors. After all I thought, "who doesn't like fresh eggs?!" 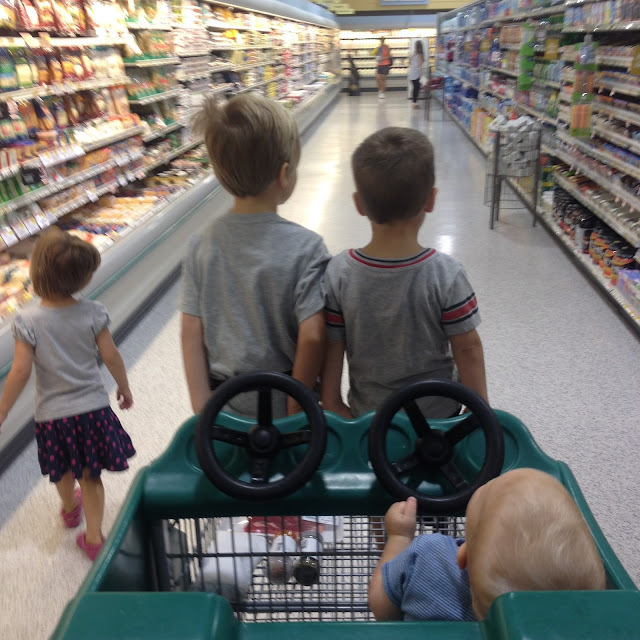 With the craziness of having four kids (when in doubt, blame the children!) B Daddy and I have gotten a little lax lately with the whole "keeping-a-low-profile" thing. We usually let the girls out to free range while we are outside with the kids and there was one time about a month ago when we forgot to close the coop when we came in for lunch. And then there was the time we went to bed and forgot the coop door was open...and at 6:45am the next morning my next door neighbor rang my doorbell to tell me that the chickens were in her driveway. Whoops. There may have also been one occasion (ok or maybe two) where I got a text from a neighbor down the street letting me know she saw the chickens out. ....a low profile we have not kept. Personally, I think catching a glimpse of our chickens pecking around the well-manicured lawns around us adds a little....je ne sais quoi to the 'hood. It would seem at least one of our neighbors doesn't agree. The next morning he showed up again (at 8am once again) and read aloud for me the city's official Poultry Ordinance - of which we were clearly in violation. I'm bummed that we have to give up this little hobby that makes suburban living a little more interesting. I'm even more bummed that our neighbor called the City rather than come have a talk with us (I know, I know- confrontation is awkward! Maybe they could have just left us a note in the mailbox?) I would eagerly have begged forgiveness and tightened up my rein on the ladies. 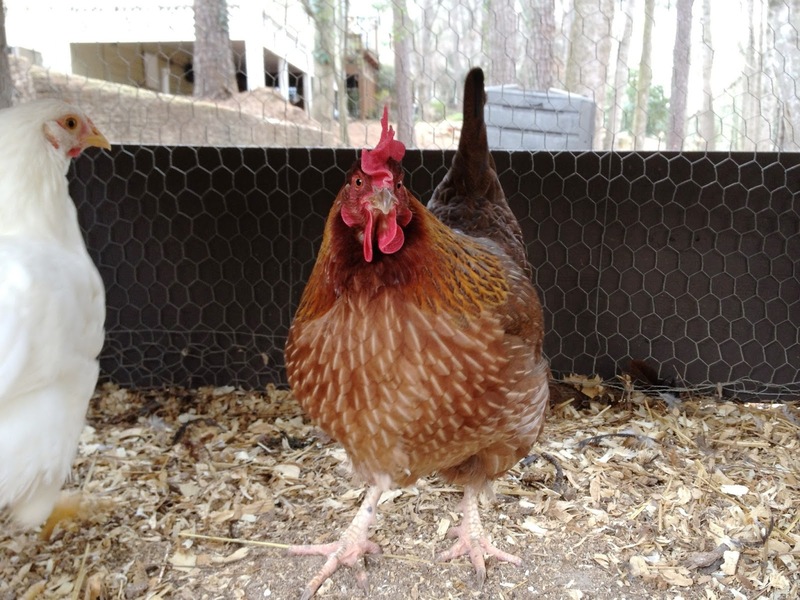 Luckily for the ladies, we have great friends concerned about the plight of our hens and those friends have great friends who just so happen to adopt farm animals. And so today we are moving them off their little suburban habitat to a farm where they will free range on 13 acres under the watchful eye of a trained livestock dog. Yup, that's a thing. They'll have goat friends and a few other chicken friends to play with and all of their egg-y goodness will go to feed a beautiful family of 7. It could be worse. But I sure am going to miss our girls. And their beautiful eggs. 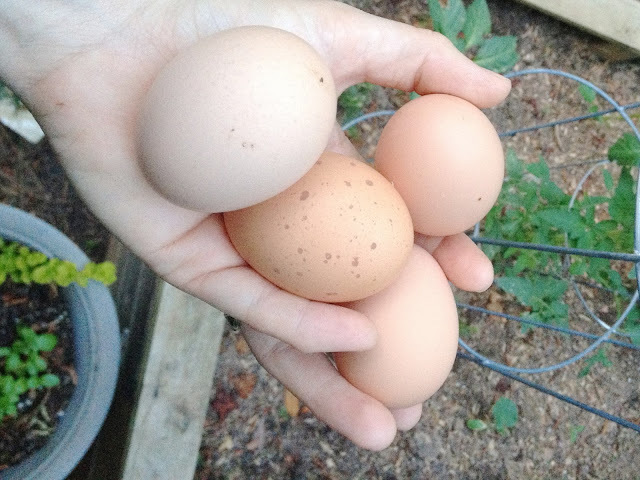 Oh and one of our neighbors who live on a lot just a hair over 1/3 of an acre just erected a coop last week. Home to six beautiful feathery friends. Here's to keeping that je ne sais quoi alive! oh man...that is not right! Sorry your grown neighbors aren't capable of handling the situation like an adult, instead of tattling like a toddler. Boo on that neighbor. I hope she gets lice. I hate to see the girls go...but did enjoy you telling the story!